This class will start at 1300 on Monday and at 0800 the rest of the week. Less Lethal Impact Projectiles Instructor Course is a train-the-trainer course designed to familiarize attendees with less-lethal weapons, impact munitions and deployment tactics. Topics to be covered include instructor development techniques, less-lethal force philosophy, case law, policy issues, technology overview, deployment tactics, product demonstrations, and less-lethal practical scenarios. Flash Sound Diversionary Device Instructor Course is a train-the-trainer course designed to familiarize attendees with flash/sound diversionary devices. Topics to be covered include history, definitions and nomenclature, legal aspects, policy issues, preparation and deployment, and practical application as they relate to the use of diversionary devices. Chemical Agent Instructor Course is a train-the-trainer course designed to familiarize attendees with chemical munitions. Topics to be covered include history, products and characteristics, delivery systems, hazards, decontamination, gas masks and general tactics as they relate to the use of chemical agents. Students who have not received an approved level 1, 2, or 3 chemical agent exposure to CS or OC will be required to have an exposure for completions of this course. However, a waiver is available to students who have already been exposed. Students who complete the waiver will be exempt from the level 1,2, and 3 exposure requirements. It is recognized that many students participating in this course have already been exposed to CS or OC. All students will be exposed to pyrotechnic CS for fit and evaluation of their masks. David Pearson is a lieutenant with Fort Collins Police Services. He has been a police officer since 1990. David was promoted in 1998 and spent 13 years as a sergeant and supervised in patrol, traffic, internal affairs, and property crimes. As a sergeant, David served in a collateral assignment as a SWAT team leader for 8 years before being promoted to Lieutenant in 2011. 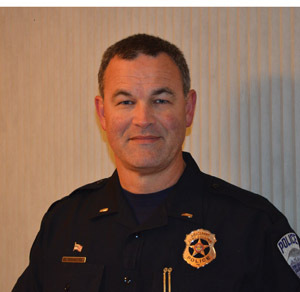 As a lieutenant, David has served as the Criminal Investigations Lieutenant, Professional Standards Lieutenant, Commander of the Northern Colorado Drug Task Force, and currently serves as an Acting Assistant Chief for the Criminal Investigations Division. David has been a law enforcement instructor since 1996 and has taught defensive tactics, officer safety, building search, crowd control, incident command, active shooter, less lethal technology, tactical decision making, and SWAT tactics. For supervisors, he has taught acting supervisor skills and the Patrol Supervision of Critical Incidents class. Since 2005, David has been an instructor for the National Tactical Officers Association (NTOA) which is an internationally recognized law enforcement training organization. As an instructor for the NTOA, David has taught the SWAT Team Leader Development Class, the Civil Disturbance class, Tactical S.C.B.A., the Top 20 Concepts class, and the basic SWAT course. David’s focus at the NTOA, however, has been in less lethal technology and tactics. For the last 10 years he has taught the 40-hour Less Lethal, Chemical Agent, & Noise Flash Diversionary Device Instructor course. David has certified over 1000 instructors in the Unites States and Canada in the less lethal course. Since 2013, he has served in the role of Less Lethal Section Chair for the NTOA.